Everybody knows that whales are those creatures which can dive extremely deep; the Cuvier’s beaked whale is the winner, diving deep down to 2000 meters in search of prey, the deepest depth known for any mammal. That’s why scientists are having trouble explaining why, in response to naval sonar testing, this champion cetacean sometimes succumbs to the same decompression sickness that afflicts scuba divers. A new mathematical model suggests that, by replicating the sounds of a predator, sonar forces the whale to adopt a risky diving pattern. It is not clear why the sonar interferes which the orients of the animals, which frequently causes them to strand. Some marine biologists suspect that the intense sound waves generated by the sonar, force whales to bolt to the surface, causing the build up of tiny nitrogen bubbles, which expands in the whales’ tissues and damages vital organs. This same phenomenon causes scuba divers the bends. The odd part is, that a whale regularly holds its breath when diving, preventing nitrogen buildup, so the theory didn’t seem to hold water. A group of marine biologists of the Woods Hole Oceanographic Institution in Massachusetts suspected that whales alter their diving behaviour in some other way. To evade predators, whales make repeated shallow dives. This could be considered risky, especially because naval sonar – which is similar in frequency to the calls of the beaked whale’s most feared adversary, the killer whale – could be forcing the whales to adopt a similar diving pattern. This led to the mathematically analyzed dive behaviour in Cuvier’s beaked whales and in dolphins to test whether nitrogen bubbles could expand in whale-tissue during repeated shallow dives. The team included known physiological data into their model, showing how the bubble size might increase in the circulatory system, brain, muscles and fat tissues when a whale dives repeatedly to between 30 and 80 meters for as long as 3 hours. The lungs of marine mammals collapse, during normal diving behaviour, when they plunge past 72 meters in depth. This results in prevention of nitrogen infiltrating the bloodstream. 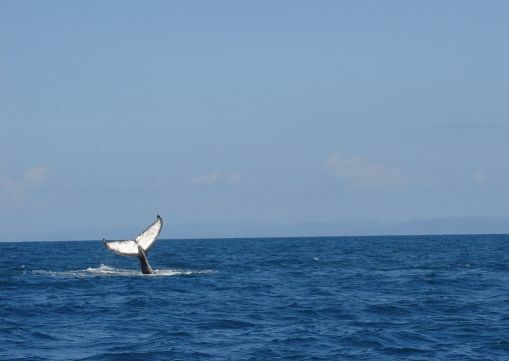 The team’s model predicts that if the whales’ lungs do not collapse during a long series of shallow dives, the increased pressure can cause nitrogen bubbles to diffuse into tissues, increasing the risk of bubble formation on ascent. Limiting the duration of sonar testing may prevent the animals from diving in these harmful patterns, the team concluded.